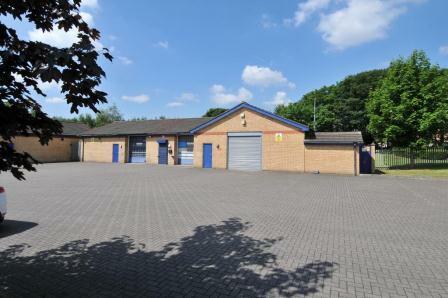 Another deal has been completed at Agecroft Enterprise Park, one of Hurstwood’s Industrial Estates in Salford. Unit 21, which measures 1,000 ft², has been let on a 12 month deal to Accounts Direct. This letting means that all 23 units on the estate are once again fully occupied. Agecroft Enterprise Park is located in Swinton, four miles North of Manchester city centre. The M60 motorway is a short drive away. As well as modern industrial units, there is also office space on the estate at Grosvenor House. Hurstwood currently has industrial units available to let at another of its estates, the Cobden Centre near Salford Quays. To find out about all of Hurstwood’s Salford industrial properties, download an ibrochure. Visit www.accountsdirect.biz for expert advice, tax tips and much more. This entry was posted in Deals, News and tagged Agecroft Enterprise Park, Deals, Greater Manchester, Industrial, News, Salford, Swinton. Bookmark the permalink.